Web hosting or simply hosting is the renting of server space and bandwidth for maintaining files and documents in your website. The hosting services are either Linux web hosting or Windows hosting. Using web hosting services, users and organizations can store their whole important information, images or other content on the server. jiWebHosting has been the leading web hosting service provider offering the best web hosting services to the clients for more than 5 years. The company understands the users need and offer Windows or Linux Hosting services. It is an affordable hosting service that is ideal for personal, small, and medium businesses. Also, we offer dedicated server and virtual dedicated server to the user who wants to upload multiple websites. Also, it offers a custom made configuration to gain more flexibility and to avail the server platform that best suits your need. Perfect web hosting plan: We offer the best web hosting services that are simply perfect for your website. jiWebHosting offer the best and suitable services that play a key role in accelerating and optimizing the website with our hosting platform. It helps in attaining optimal performance of website with our hosting plans. It Offers 24/7 technical support and avail assistance from the experts at any time. Offer a vast array of tools: The users can use the vast array of tools that help in building an online presence of your business. This will help you launch a website easily. Quick and Easy Services: It is accessible to every customer for every necessary and creates a fully-functional website. Managed VPS Services: The VPS hosting server from jiWebHosting is highly beneficial and offer many features like SSD page for enhancing the page loading speed, VPS management to provide a better output, SSH security, easy upgrade, and strong infrastructure. Secure Email Services: It offers the secure email services having features like end-to-end encryption, implementation of a digital signature for authentication and integration of each and every message of the user, data protection, compatibility, implementation of TLS encryption for avoiding tampering forgery or passive ever dropping. Shared Web Hosting: Our shared web hosting services are integrated with an SSL certificate that ensures the safety of customer data, SSD storage to offer better browsing experience, easy installation, easy upgrades and lot more. Secure Mobile App Hosting: jiWebHosting offers the best and secure mobile app hosting platform having featured APIs that helps your businesses to stay at the top, enhanced architecture. The mobile hosting platform is secured and keeps the application safe from all kinds of data attacks. Cloud File Hosting: The cloud file hosting services, has a smart accelerated architecture that offers rapid speed, a wide range of tools and programming libraries, support that helps in upgraded operating performances. Dedicated Servers: It offers the world-class hosting servers that help in increasing your website traffic, help the host to easily host the unlimited websites, offer dedicated IP, and assures high performances of the customer that help them to reach their desired goals. 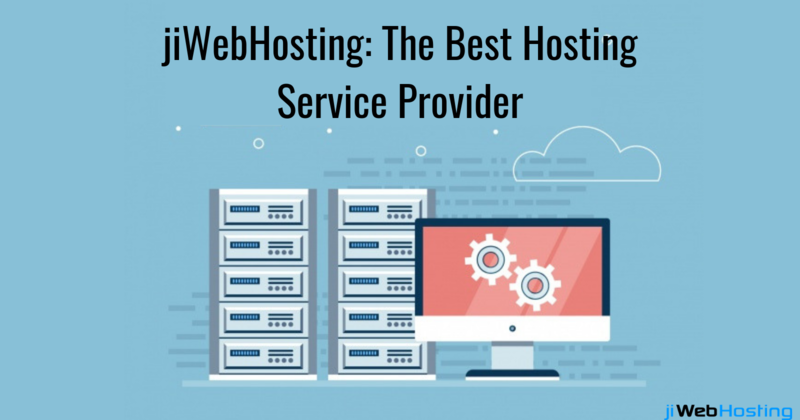 All the above features make the jiWebHosting stand ahead of other hosting service providers. To make it as your website hosting partner discuss your requirements with our team and avail the best services and an affordable price.